Each online casino that will become active in the online casino market will be tested and so today it’ll be CasinoLand. We noticed while making this CasinoLand Review that the casino that it really felt like a real offline casino, with it’s nice classic graphics, it makes you feel like playing in Las Vegas! We will take a closer look at the different aspects, from deposit, play, helpdesk to hopefully in the end also paying out after unlocking the bonus! Registration is smooth and very clear. They immediately want to know your address details and this creates an extra sense of security in my opinion. On the website you are not immediately attacked with nice bonus offers, but you can sign up in peace and quiet. As a player, we can not think of any option that we are missing here. Everything is complete and they are all reliable payment methods. We choose a method and deposit 50 euros. 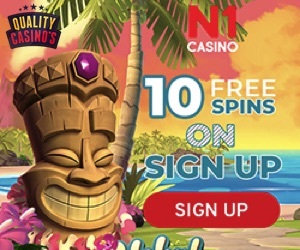 We immediately see ‘Add a 100% bonus + 30 Free spins’. You can also click on the terms for this bonus. How does the Casinoland Bonus work?! With your first four deposits you get a choice every time for a bonus at CasinoLand. 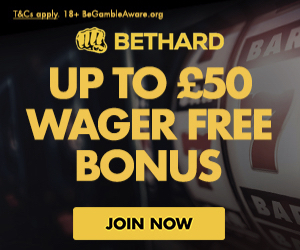 We found out while making this casinoland review that Your deposit and bonus amount will be ‘blocked’ until you have met the wagering requirements. This is called wagering requirements in English. So after a choice for a bonus you can not immediately withdraw your money again. However, you can choose to cash in your bonus while playing and then you can withdraw the remaining amount! In order to be able to pay out your bonus, you must play it around properly to unlock it. No less than 40 times! That means that with my 50 euro deposit I have to make a total of 2,000 euros. That is a quit average outcome for this casinoland review. Additional condition here is that you have to do this on slots and that table games do not count. 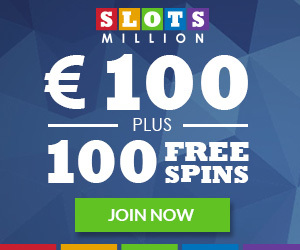 For me this is not a problem because I mainly want to play online slots. But take this into your choice, because you can also choose not to accept a bonus. 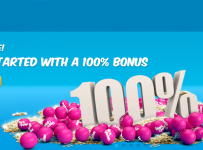 Payment via Ideal works as easily as ever and I get a clear message that my balance is 100 euros and that 30 free spins are ready at the slot machine Guns n’ Roses! Immediately just top up my balance! So I start with my free spins and knock right at the door of heaven! Unfortunately only 3.25 euros earned with the online slot machine but what a game experience this casino has. The game screen is huge and your view is great. This is something that I have never experienced in an online casino! Favourites which stands for favorite games. You can select it yourself. Live, where you can find all the live games. Last played, where you see the last played casino games. In addition to this casinoland review, there are no less than 8 live blackjack tables and also 6 VIP Blackjack tables during my games!! At the Blackjack Platinum tables you have to have a thick wallet and my 100 euros was insufficient. I saw bets of over 1000 euros per hand placed here! So high rollers can therefore enjoy themselves at CasinoLand. The live games are offered by Evolution Gaming, which is a known concept in the world of live casino games. 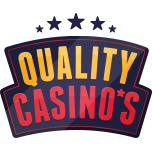 That makes it a reliable partner for CasinoLand. Special is that there are also three live baccarat tables available and 1 live table of Casino Hold’em. Try it out yourself! The helpdesk is of course always good to investigate and you have the possibility to send a message via this help page, with your username and email address. All of this has already been filled in. You also have two telephone numbers, one in Canada and one in London. This naturally also concerns English helpdesk employees. CasinoLand currently holds a license in Malta from the Malta Gaming Authority. 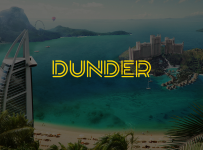 This is a very common and reliable license that many online casino companies have. It can certainly not be ruled out that CasinoLand will also request a Dutch license. If you ask me, this is a must for both the casino as well as the Dutch player! As previously mentioned there are different promotions available at Casino Land that have to do with your first deposits. The first 4 deposits receive a deposit bonus or a reload bonus. Of course, these bonuses are subject to conditions and you will not receive the money immediately. 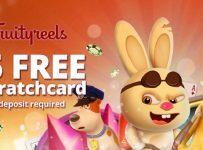 Free spins can be gotten at CasinoLand every Tuesday. 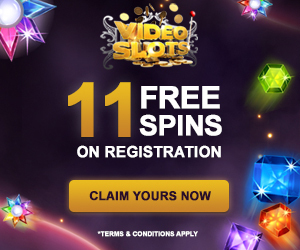 If you make a deposit on a Tuesday, you always get 50 free spins from the online slot that is in the spotlight for the week. At the time of my review, this is the online slot Aztecs Idols and you get 50 free spins with your deposit on this slot from Play’n Go. This promotion is called Spotlight Tuesday!